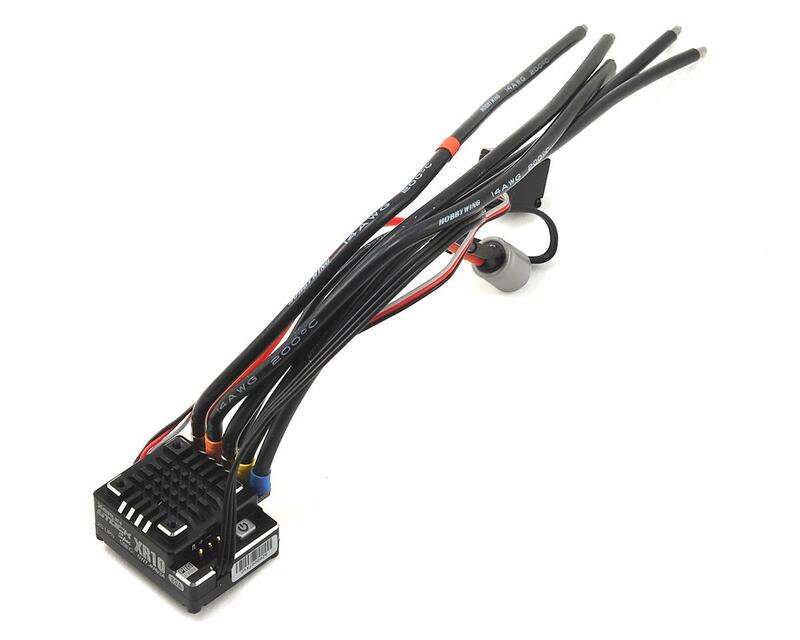 I was not certain if this ESC was truly capable of powering 13.5 wheeler, however a few gent's overseas advised that this little speedo was fully capable for competitive 13.5 wheeler, thus the only suggested option part to add was a Hobbywing quad capacitor which I did from the get go. Anyhow I will get straight to the good stuff. This super tiny gem of a speedo fully powers my 13.5 wheeler and does so flawlessly. Smooth, strong throttle and top end with insanely strong brakes. Really amazing considering this speedo is so very tiny. The quad super cap is very helpful and a minimal $10, thus highly worth adding to this speedo. 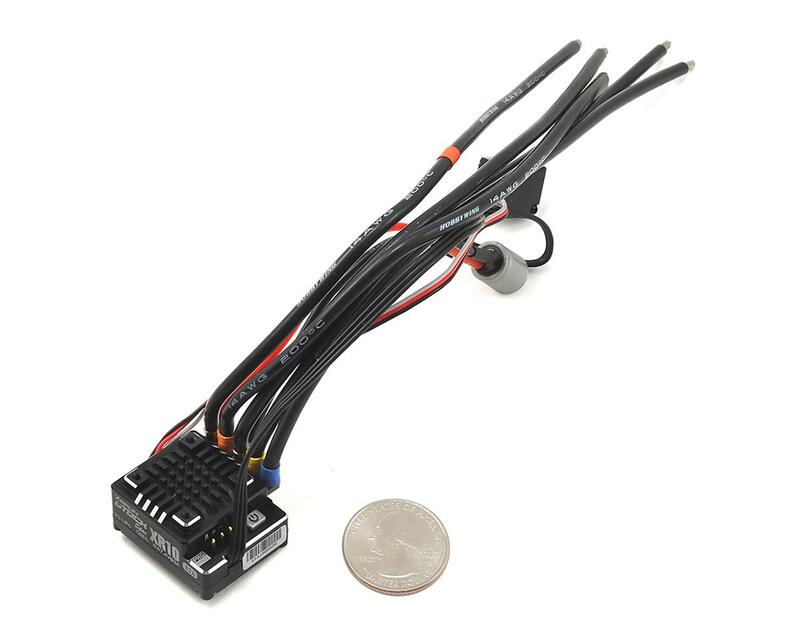 Don't worry about the speedo's tiny size, or the thinner 14g leads as this speedo really has it all and to add more the adjustable 6v to 7.2 bec per HV servo is a great option, thus as well is an another indication on the power this little speedo has. 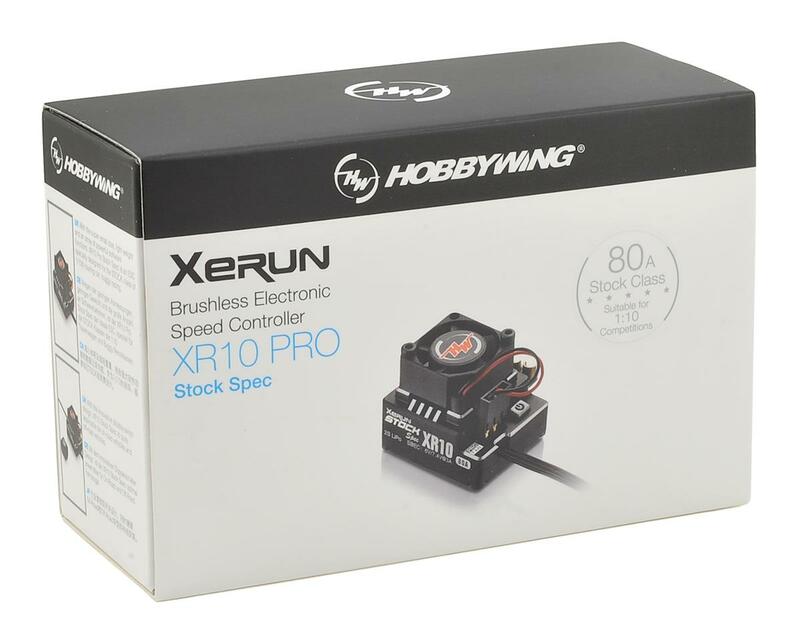 If your looking for a tiny speedo, with huge performance, t HW's XR10 Pro Stock Spec V4 is a perfa choice. Love this little guy! I am running in my Yokomo YZ-2 DTM2 with a 17.5T motor. I normally run ORCA only and was a little concerned trying something new. I am really happy. Smooth power, very responsive. The space this thing saves is great. The wires come soldered already and are way long enough for any buggy. It also come with a fan that I have not had to use running blinky on 17.%. 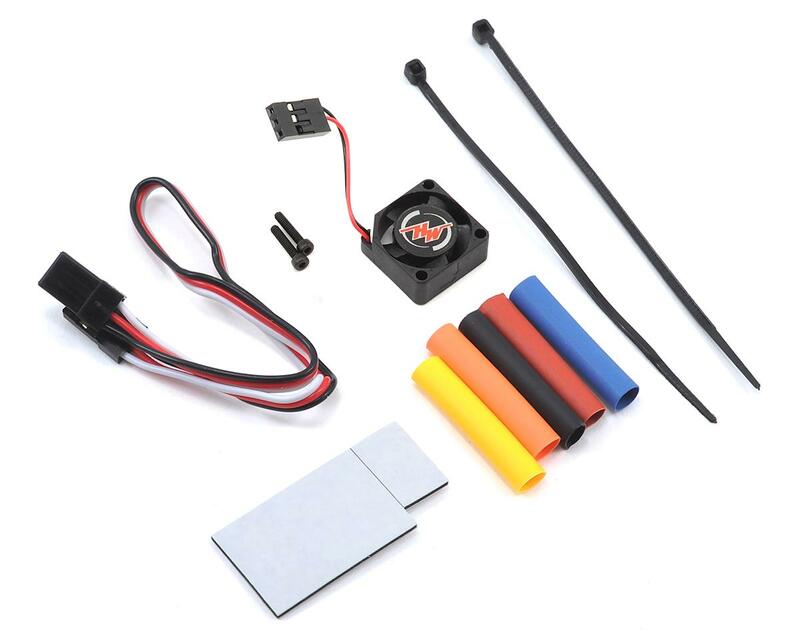 easy to program, excellent feel. and a huge weight savings in my 13.5 buggy. dropped it by almost 30 grams. I have 3 of these units and they all run great. The person that only gave this one star needs to set up his radio. VTA, F1 USGT, 2wbuggy WIN... the review text must have at least 50 characters. So, the brakes are really garbage. I turned them all the way up on my ESC and radio with no change. Added the 4 capacitor module at an additional $15 to no avail. Tried recalibraiting the radio and still no change in braking power. Should have gone back to a Tekin RSX. And customer service? Hobbywing doesn't know the meaning of the term. Going back to a real ESC. Spend a few extra bucks and save yourself these silly issues.